Who can imagine, when you walk down the aisle with the person you love and you speak the vow to promise to love him or her “for better or worse” that the worse would happen? The “worse” involves being married to a person who completely changes because of a brain injury. How do you do this when your spouse becomes a stranger to you and you to him or her? No one could anticipate this type of strain on your vows ahead of time. But it does happen. Sadly, you know this all too well. I know I can say very little to take away your pain and confusion. But I’m hoping, as a ministry, that we can give you insights that can help in some way. To do this, I’d like to share four true stories with you of spouses who are dealing with after effects of a brain injury. They have learned firsthand what it is to start a marriage over after a brain injury. I pray they will inspire you in your marital journey. This next article tells the testimony of Floyd and Diana Green (as written by David Boehi). It involves the traumatic struggles and victories they’ve encountered after a car struck them as they were riding their bicycles together. Not only was the accident traumatic itself, it changed who Floyd was after he gained consciousness. His wife had to learn who her husband had become, and learn how to love him all over again. I pray that God will minister to your needs and give you strength as you reach for help. May God help you as you figure out how to deal with this “new normal.” I pray for you and for your spouse. If you have additional tips to help others in this area of marriage, please “Join the Discussion” by adding your comments below. After 33 years of a not so bad marriage, I got a head injury 15 years ago. I thought everything was ok. Was I ever wrong? I am permanently disabled and can not work. She says she is done. I am devastated and just want to die. Dave, we are SO sorry for what is happening to you. We truly wish we had the capability to help you through this trial, but we aren’t equipped beyond the articles we have posted on our web site. You may want to go in the SAVE MY MARRIAGE section to see if there are some articles there that could help. However, our primary recommendation is for you to contact Focus On The Family and ask for their counseling department. They will provide one free phone counseling session and then can refer you to a counselor in your area to follow up with. Their number is 1-800-A-FAMILY. We hope this helps get you on the right path. My husband was in a horrific car accident 4 years ago. He suffered a moderate TBI. I am married to a stranger in so many ways and I am having a very hard time accepting those changes that I think he should be able to change. He was always extremely disciplined with everything he did, which actually drove me a little crazy. But, I have found that I miss that trait in him the most. After 15 years of marriage we had learned each other’s habits so well. God is definitely the reason my husband is alive and “fully” functioning today. But I miss him desperately. The biggest issue I have is that his inability to be disciplined in his physical care and health actually makes him unattractive to me. I feel like if he loved me enough he would be able to make the decision to take better care of himself. We have always been able to communicate with each other and I have tried to be sensitive about this issue, but at the same time be honest with him and he does not understand. He thinks I do not love the “new” version of him, and although I assure him it is not a love issue, he is correct in that I do not think I would have ever dated this version of him or even married him. I really do not know what to do anymore. Hello Melissa, I am so, so sorry to hear of your husbands accident. HUG! For the longest time, I, too felt alone struggling with all the changes: in him, me, us, our life, marriage, family, job, house, financial, friends – Ugh! ALL of IT: Spiritually, mentally, emotionally, physically and financially draining… day in and day out… and nobody else understood it. Drs. weren’t explaining much, nobody was really helping and the one I really wanted to and needed to share it with, was my husband, but he couldn’t relate to it. It was hard for me to realize this brain injury does not always get better. Sometimes the wires just aren’t connected any more and there is no way to fix it. I can tell you from my own experiences with my husbands accident (51/2 yrs ago) that old saying holds true… It’s hard to teach an old dog new tricks. And it took me a long time to realize “I was the Old Dog – not him!” I wanted things the way they used to be, while my surviving spouse is trying to figure out how to do just simple everyday things – all over again! I had to let go and let God show us how to be – the new and improved version – of being ONE with Him all over again. One important thing I learned from God is… He’s got THIS! And your Husband, And You in His care… including your marriage. He wants ONLY the best for His children ; ) Ask God to help you see the ‘GOOD’ in the ‘NEW’ man you are married to. I also needed a reminder that God loves us just the way we are… warts, sins and all. This is how He wants us to love others, as we love ourselves. It is the most important commandment! Praise God! There were some days when I realized my husband would ‘forget’ to take a shower (easily done with TBI – short term memory usually goes hand in hand). If I critically told him the wrong way, it would sound as if I was nagging him. I learned a gentle, loving reminder works much better. “You catch more flies with honey than you do with vinegar” as I hear my Grandmother’s words of wisdom ringing my ears. Some days he would come out of the shower, walking thru the house looking for me, dripping wet… sometimes with a towel around him demanding…’ Smell my hair!! Did I wash it yet? Do I need to rinse it? I don’t know… I forgot!’ Without laughing, yelling or complaining, I would calmly smell his hair, smile and give him my report. I let the dog lick up the soapy wet spots :) Just another day! Little things we take for granted – like making simple decisions or what to do, which comes easy for us to remember or to do for ourselves – is so much harder for TBI survivors to handle. That is where a loving Caregiver comes in. If the shampoo was hard to remember… what about things such as… haircuts, trimming nails, putting on deodorant, remembering to takes medications… all part of cognitive therapy. Or Maybe… he may need to hear it from a Brother or a close ‘guy’ friend who is willing to let him know in a gentle caring way. If all else fails, he has the rights for Social Services to be able to hire an individual as a mediator to step in and see that his needs are being met: Dr apps, meds, hygiene, etc. Even a good therapist can point these needs out to him and teach him ways in which it will help to remind him. Again, thank you Susan for this. I was going to write to Melissa myself, but your answer comes from experience and from compassion of one wife dealing with this issue to another. How I pray for Melissa and her husband and their situation and for you and your husband and your situation. No one, when they marry could ever comprehend that this type of situation could ever happen. And I’m sure you are reeling at times wondering what to do. May God grant you wisdom when you ask for it. Please know that others care and are praying for you. 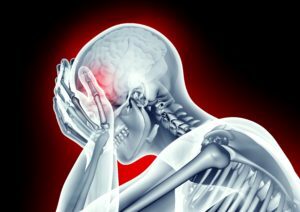 My husband’s brain injury was caused by a brain hemorrhage. It left him with aphasia. It also left him without the abiity to do arithmetic and to do common everyday home maintenance or to write. I am posting to ask how to teach my husband the mechanics of finfnace/money management. Handling his bank account and knowing what he can spend and how to be safe when purchasing something online. Are there ways to teach simple arithmetic to an adult again. Where do I start. Belinda, While it is possible your husband may be able to progress to a point of doing some simple tasks I would try to keep my expectations fairly low for just how much he will be able to progress. I found a link to the National Aphasia Association where you can probably get much more information to help you navigate this very difficult road. Here’s the link: https://www.aphasia.org/ They should be especially helpful in giving you realistic expectations for what kind of recovery you can expect over the long term. You can also put the term “adult vocational rehabilitation programs____________” and enter your city name. You will find there are a few options you can explore. You can also search terms like “Aphasia support groups______” with your city name and see if anything pops up close to you. This is one of those circumstances where you can feel very isolated…especially if family and friends have been pulling away because of the changes your husband has experienced in his personality; so do whatever you can to find people who really understand what you’re going through to come alongside of you. We hope this helps you a bit. You can also click on the Prayer Wall on our home page and post this as a prayer request. Many people from all over the world come to our web site every day to pray for the requests that have been posted. You can pour out all of your pain and frustration and you don’t have to use your name. This is a safe place to be honest with what’s going on in your heart right now. We can attest that there is much power in prayer. Blessings! My husband was a professional boxer. I can’t care for him all the time and don’t know who I can ask for for help. I’d bet my life on it that he has CTE like the football players; he’s out of control and angry most of the time. He can’t make much of a living any more which means I have to work. He self medicates all the time. I’m afraid to leave him alone…he’s 58 years old. When he suffered traumatic brain injury. We have been married 41 years and I was aware of his injury when we were married. Although he had been unconscious for nearly 3 weeks, he made what was felt to be a full recovery. He graduated from college with a degree in chemistry and ultimately a second bachelors in physical therapy. When we were married I knew little about TMI and my husband was told that he was well. Neither of us expected what life would bring. My purpose is not to describe all of this and for those who live with TMI you already know. We are Christians and our concept of what a marriage should look like (roles, etc.) has been decidedly skewed from the norm. I deal with guilt because of needing to assume roles that I was not designed for and He deals with shame because he cannot do the things he feels that he should as head of the family. I have looked for books on the topic and ideas of how people cope but most Christian books focus on the average couple and not the exceptional. I would like to know if anything has been written on the topic that might give some comfort and ideas for dealing with these issues in marriage. My wife had a left side brain ansurum burst Oct 2017. They caught it in time and did the surgery. She was doing good when she went to rehab. Water on the brain caused more issues with her speech and arms and legs. She’s mouthing answers correctly but hard to follow. I am up and down with emotions on how I will take care of her once discharged from rehab. My husband and I are married spiritually. He has brain trama from an accident. I have not seen or talked to him since November as he’s blocked me from seeing him and told others lies about me and with brain trauma he doesn’t know what is true or false and is mad at me. He does not want to see me or talk to me. He’s my life; we had a great life up to the accident. We were very happy. I’m not happy anymore. Please help. I have no rights so no one will talk to me. My husband had been wanting a Harley for years. This year I finally felt that we could afford it, so I told him to go ahead and get one!! I was as excited as he was. In March we got the bike, and I have never seen him that happy! Every day he thanked me for getting it. On April 14th of this year we were on our fourth or fifth long cruise (an hour or so). We were riding down a road that we had never been on and my husband said “I have no idea where this road goes!” I told him “it’s okay, all roads lead home eventually!” About a minute later I remember seeing a car directly in front of us like a brick wall. I just remember holding on. I woke up in the road,covered in blood and started screaming my husband’s name over and over. He was lying in the road about fifteen feet behind me, not moving. I was taken in a separate ambulance with multiple injuries; shattered left leg, fractured face,and all my teeth gone. My husband I was told, wasn’t expected to live to make it to the hospital. He was air lifted to Wake Forest Baptist hospital, where he did live. He had a punctured lung, three broken ribs, both collar bones broken , a severely broken arm, his face was shattered, his left ankle was driven into his shin and he had a severe TBI. I lay in a hospital in Charlotte for three days being told that he was “stable”. Nobody could tell me exactly what that meant, but I knew it was bad. It has been six weeks and a little more since the accident. He has been “awake” for about three of those. He has a trach, though he is finally off the ventilator. He had two steel plates put in his face,and two in his left arm. He had bands put in his mouth to stabilize his jaw, which just came off yesterday, and they fused his left ankle. The doctors said his ankle was one of the worst they had ever seen. Since the accident..minus the four days I was in the hospital (I refused to stay) I have been driving the hour and a half to the hospital every day to be with him. I can’t walk, so this is hard for me to do alone. We have three kids, two still at home, that I think are scared to see their dad that way, and that is understandable. They are 13 and 16. I’m not really sure if my husband knows them or not. When I ask him if he remembers them he says no. When I take them to see him he stares at them as if he is trying to figure out where he has seen them before. He knows who I am. We have been inseparable the last 14 years. We are each others best friends. Our dream was to move to Alaska once the kids were grown and live in a cabin in the woods…just me and him. I know it’s early in the recovery process, but I’m terrified. He is the love of my life. I have never known a love like ours before. We were so happy, and life was finally looking up for us. He just started a job three weeks before the accident that he LOVED. I had a job…not one that I loved, but a job with a decent income. Unfortunately ,because it was a new job, he didn’t have heath coverage yet. I did, but that doesn’t help him. I’m on short term disability right now…bringing in a little under three hundred a week, for three months; if I can’t return in six months I’m terminated. I can’t even walk yet. None of that stuff matters right now. I just want to know if anyone out there has been in a similar situation. I know everyone is different. He had hemorrhaging on several parts of his brain, but the most damage was to the left frontal lobe, which I know effects memory. He is also having a hard time trying to talk with his speaking valve, which I was told takes some time for patients to get used to. He has told me “I love you” and has said “mom” and “dad”. The nurse said he is aphasic? Not sure if that is the right term. He doesn’t know his numbers and things like that right now. He can move his whole body, except his left arm,the one that has the plates in it. He is coming along on his physical therapy. They put a brace on his left hand because it was seizing up. They also have him restrained on his right ankle and right wrist all that he can’t get out of bed. I hate seeing him laying there in a room, by himself, confused and scared. We are in North Carolina, but we are from Maine. All our friends and family are so far way. I’m the only one that spends time with him. His parents come every other day for about half an hour, because his dad is getting old and it’s a long ride. My mother in law has to push his dad in a wheelchair because his knees and back are so bad. It’s a lot on him. But it makes him feel better to at least get up there to pray by his side, even if that is all they do before they leave. I didn’t go up today, I was just emotionally and physically drained. I cry so much that I can’t believe there is more tears left in me. I was doing some on line research and stumbled upon this site. Some of the stories I’ve read have made me feel better; some I can’t relate to. It’s obvious my life will never be the same. I can’t imagine ever leaving him. I would never do that. He and my kids are my world. I told him a long time ago that I couldn’t live without him. People are talking about the long term already, talking about nursing homes; I don’t know if he will have to go to one, but he won’t stay in one if it’s up to me. I just want him home. I miss him so much it’s physically painful. I guess I just want advice about what I should be doing now. What should I be asking his doctors? Should he be getting into a rehab facility soon? I have no idea what I’m doing. Oh yeah, the accident wasn’t our fault. A lady ran over two rumble strips and through a stop sign at a four way intersection. There was no stop sign on our side. I have a lawyer..but I don’t even know what to expect from him!! I’m just lost…Anyone have ANY advice for me, other than prayer?? We have tons of that, though I won’t discourage anyone else from doing so!!! Thank you in advance to anyone that has any words of wisdom for me!!! Hi Cristina, My name is Karen. I too have a wonderful husband who is my best friend. We spend all of our time together when we are not working. Like you, we were also in a horrific motorcycle accident many years ago. In reading your story I could relate to you and the fears you are facing. My husband had a fractured wrist and a crushed face. Every bone in his face was broken and his left eye was ruptured. His frontal lobe was also compromised. Without going into all the nitty gritty… let’s just say it was VERY bad!! The doctors thought that both of us were going to die. But… God…our wonderful, all knowing….loving Father had other plans. It was a very rough journey and no fun at all. I never knew what the next day would hold. God gave me just what I needed each day to face what was handed to me. I know each case is different but I just want to tell you not to give up hope. It is still really early!! The doctors told me all kinds of scary things that could, and as far as they were concerned probably would happen, but… I sit here typing this letter only to let you know that our God is still a God of miracles. My husband who was not supposed to see again, sees 20/20 with glasses. They said he would never have his same mind again because of the brain trauma and the frontal lobe issues but… he has a very sound mind and is gainfully employed. I was told he may not know me or my children and even if he did he might be a “different person” than the man I married. That really scared me!! I too was hurt badly and got out of the hospital early in order to take care of my children (who were your children’s ages). Of course they struggled seeing their Mom and especially dad so hurt but… they did ok. I tried to make life as normal as possible for them. They really stepped up and helped out as much as they could. Looking back, (because my children are now adults with young children) it was a journey that grew them up and helped them become the men and women that they are today. They would tell you that we grew as a family though this trial. I also had a new job so can really relate to you there. Fortunately for me I was able to go back within a month. It was hard to be at a new job, with my husband in the hospital and then a rehab facility but again, I can only say that God gave me the strength I needed each day to do what had to be done. When John finally came home I bathed him, dressed him, changed his trache, and many other things that I never thought I would be able to do. But I did!!! Last March my wife was in a car accident. She’s was first diagnosed with a concussion. For the first few months she was out of work. My wife rushed back to work. She couldnt handle it. Vision issues, migraines, issues with memory and speech. Our first blow out was in June of 2017. She stated I wasn’t doing enough around the house and I wasn’t there for her. A few days later she came home and we worked on getting her better. In the fall she was still out of work and in October was involved in another accident. This set her back. Since March of this year we have been on the rocks. So bad now she is considering divorce. According to her I have been verbally abusive and controlling. She also has been going out a lot and drinking. She has become very obsessed with her looks, especially since she has lost weight with the IBS. I have been living out of the house since May. I am a fraid I lost her. I am not perfect. Wife of brain injury survivor.